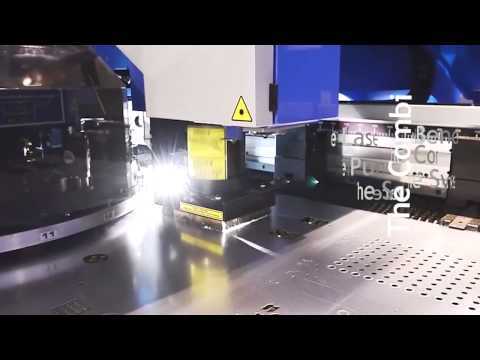 Prima Power is a leading specialist in machines and systems for sheet metal working in the all applications of the laser processing, punching, shearing, bending, automation. The manufacturing facilities are in Italy, Finland, USA and China, from which the machines and systems are delivered all over the world. The sales and service network are active in over 70 countries, with direct presence or through a network of specialized dealers. With the product lines ThePUNCH, TheLASER, TheCOMBI, TheBEND, TheSYSTEM and TheSOFTWARE the Prima Power covers all stages of the sheet metal working process. The family of highly advanced servo-electric solutions for punching, bending and integrated processes is the widest in the world, marketed under the slogan “Energy in Efficient Use”. Undisputed leader in 3D laser machines, the Prima Power is among main world players in the 2D laser segment with a wide range of top performance. All products are developed according to the “Green Means” concept, combining sustainability and productivity.